What to put in a non-chocolate Easter basket for a three year old? This year I decided to do an Easter basket for my daughter, filled with non-chocolate Easter gifts perfect for a three year old. I figured that since she is bound to get a crazy amount of chocolate from family and friends, a non-chocolate Easter gift basket would be a better bet. 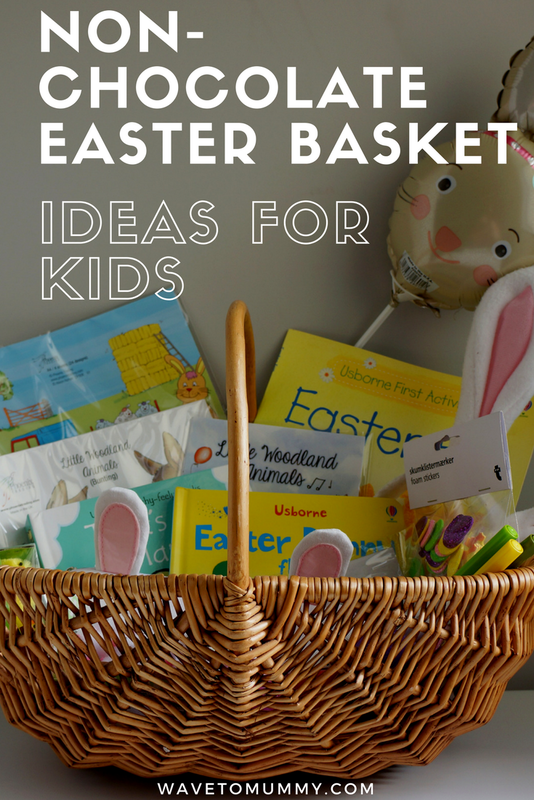 I included all sorts of perfect Easter gifts for the little ones here, suitable for toddlers and pre-schoolers, ranging from books to crafts, and wanted to share my ideas with you. 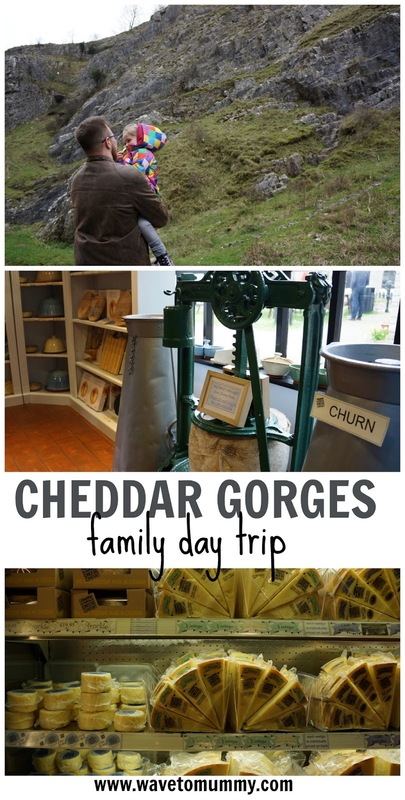 I've linked to some specific suggestions and some of the links I've provided may be affiliate. I've never done one of these seasonal baskets before, but I thought it might be a fun tradition to start one. 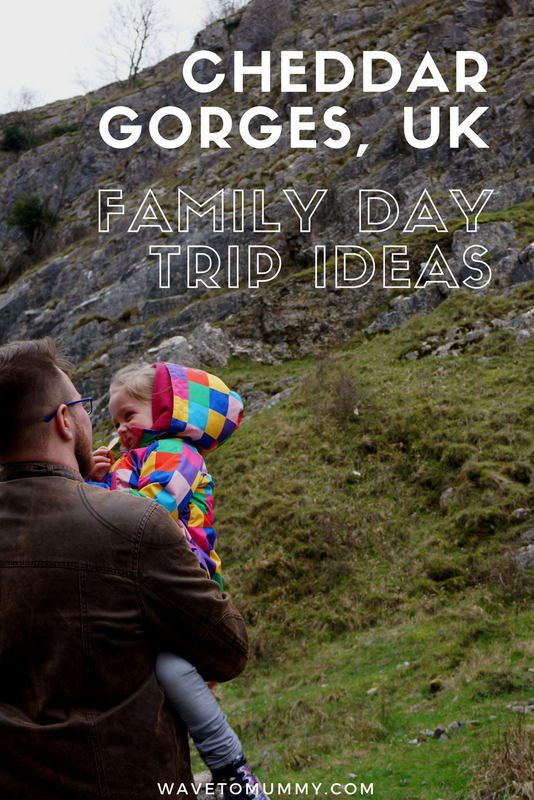 You could do one for Christmas, one for Easter, one for Halloween and what not, depending on what kind of traditions you follow. Maybe even a Hanukkah basket or a Ramadan basket! You could probably also save many of the seasonal items from year to year so it shouldn't break your bank or your environmental credentials too much... Anyway, here are the items I selected for my non-chocolate Easter gift basket for me three year old daughter. As for Easter books, I got a few firm favourites from Usborne Books. That's not my Lamb is one of the classic touchy-feely books, and while this is aimed more at the baby market my three (nearly four) year old daughter still loves reading these to herself and touching the different textures. Easter Bunny Flap Book is another cute book with colourful drawings, Easter eggs hiding under flaps and little peek holes to the next pages. 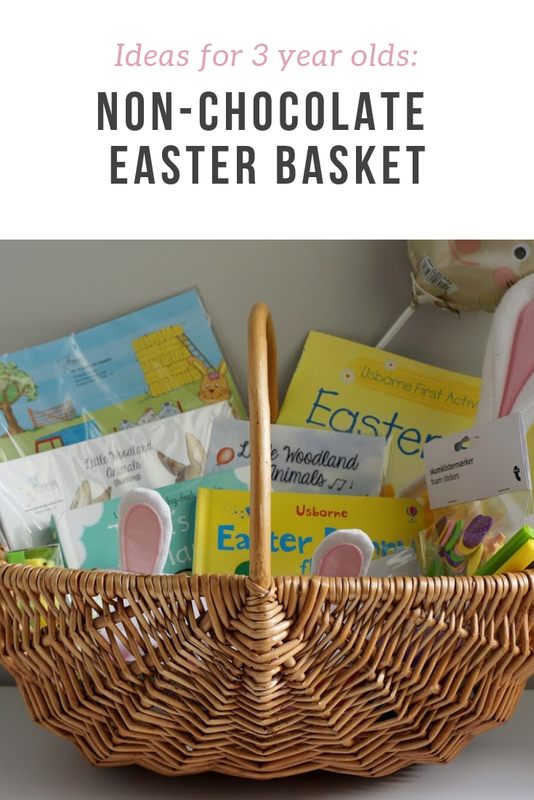 The third Easter book we got was the Easter Fun activity book, which has 12 simple crafts suitable for young kids - and a sheet of stickers inside too. 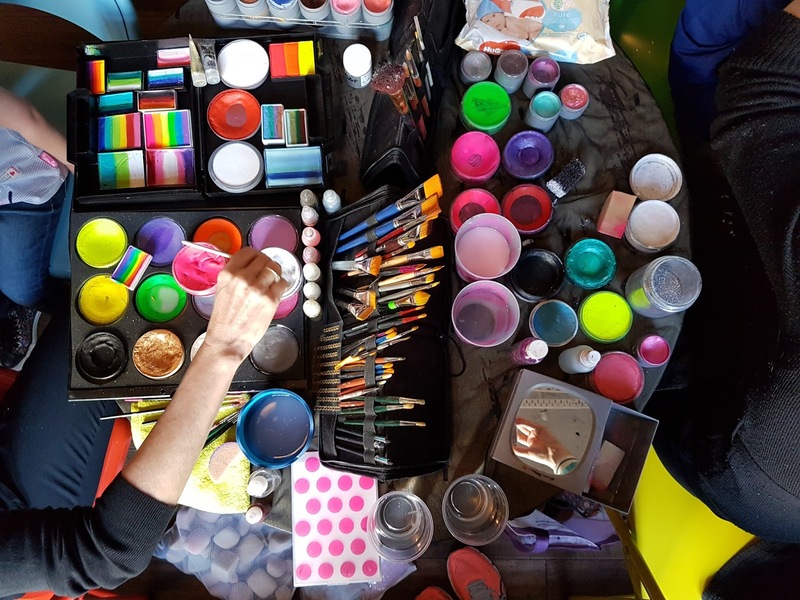 An Easter egg decorating kit is a perfect addition to the Easter activity pack. I bought paint brushes and grabbed Crayola paints and felt pens to make a full kit. 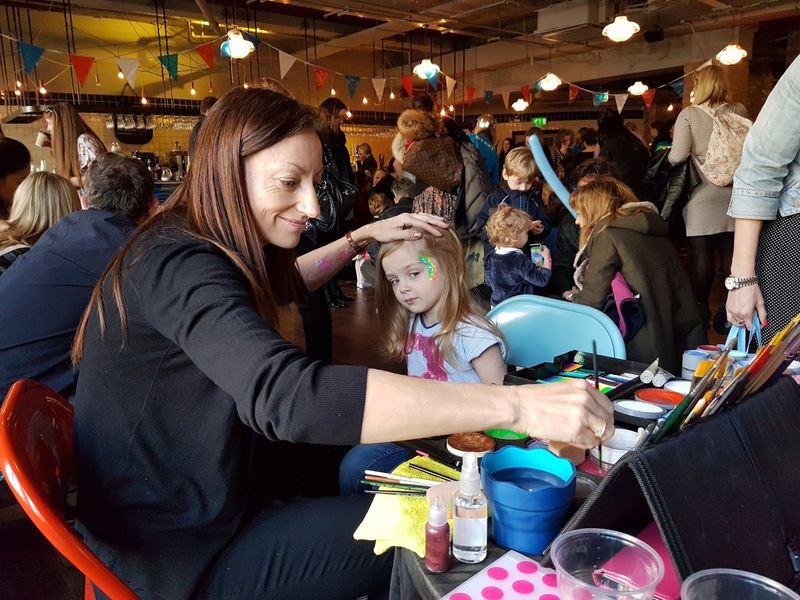 You can get Easter egg painting kits online too! Now all that is needed is some hard boiled eggs. 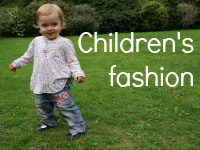 And what child wouldn't love stickers? I got a pack of glittery egg monstrosities from Flying Tiger, and I am expecting these to be a huge hit. Foam Easter stickers are widely available online too. Could even stick these on the eggs. Colouring is another surefire activity that keeps my kid entertained. I got a few finger puppets and frieze with Easter motifs (from Phoenix Trading). I am particularly excited to play with the finger puppets and use the frieze as a decoration in my daughter's room. Any colouring and painting activities work well with young kids (like these Easter bookmarks), and fit an Easter basket if there are chicks, Easter eggs, bunnies and so on. I also thought that it would be fun for her to decorate her room, or our living room with some Easter related little things. The little bunnies and chicks are from Sainsbury's, and I have saved them from a previous year (but you can get them online too). The stick balloon (also fab for using as an Easter egg hunt marker) is probably from Tesco's and is at least a year old. These things last forever if you aren't too rough with them. Little Woodland Animal bunting I thought would be perfect for Easter as well, as it has loads and loads of bunnies in. It is from the same designer as the frieze I introduced earlier, so should look nice together. It's not available online anymore but if I were to get anything else I'd get this burlap Easter bunting. And of course - you do need to include bunny ears! These are old one's from Sainsbury's, but you can get similar ones just about anywhere around Easter. I also bought a bunny pencil case from Paperchase, because I couldn't resist it for my bunny-mad babe. There are one's available on Amazon too. 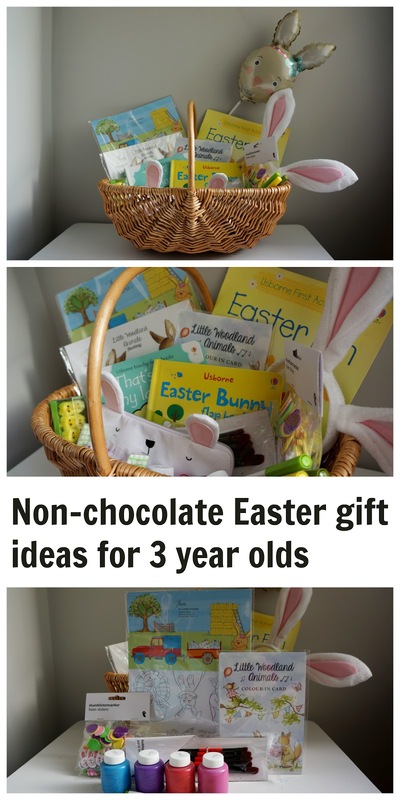 So there, a bunch of non-chocolate Easter gifts for an Easter basket - I would love to know if you have ever made any of these yourselves and what you included in! What did you include in Easter baskets? What non-chocolate items would you recommend? 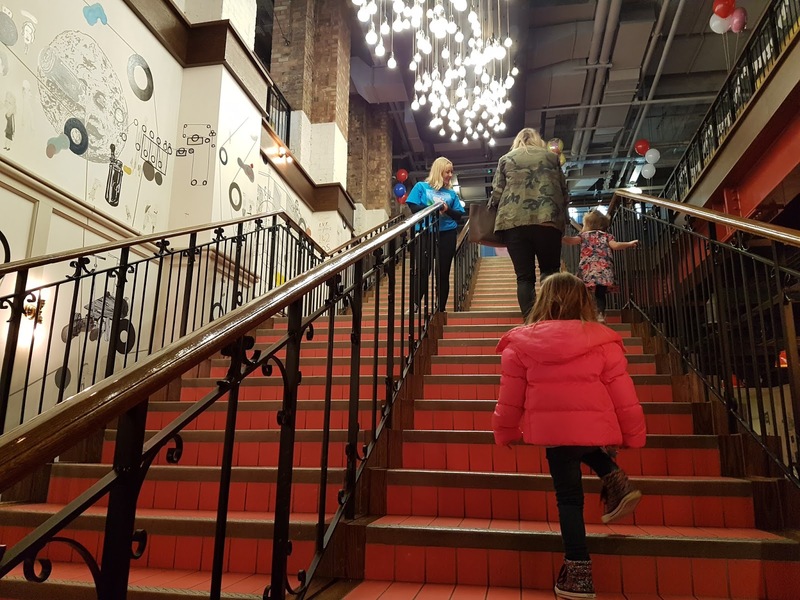 Should you go see Peppa Pig: My First Cinema Experience at the cinema? 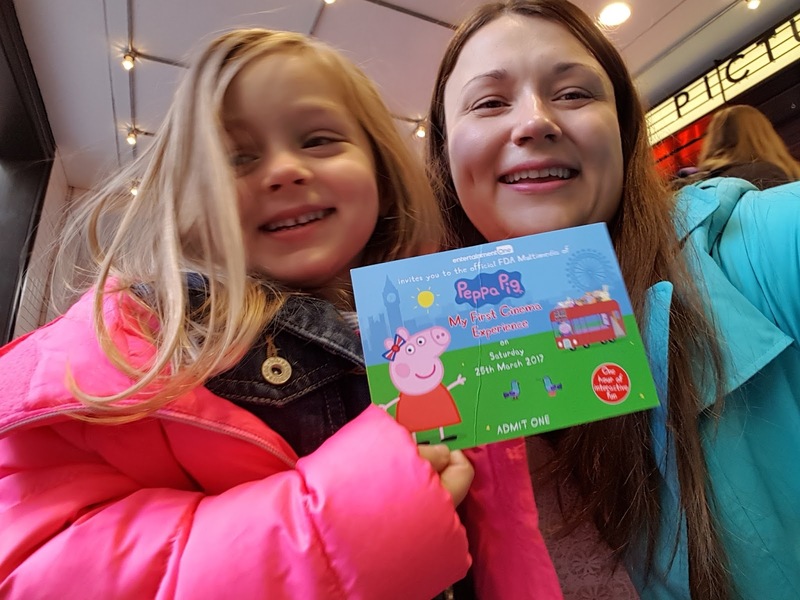 We went to see the Peppa Pig: My First Cinema Experience at one of the premieres in London a couple of weeks before it got to cinemas. I thought I would quickly review the film too so if you have Peppa mad kids you will know whether it is worth paying for the tickets for it! 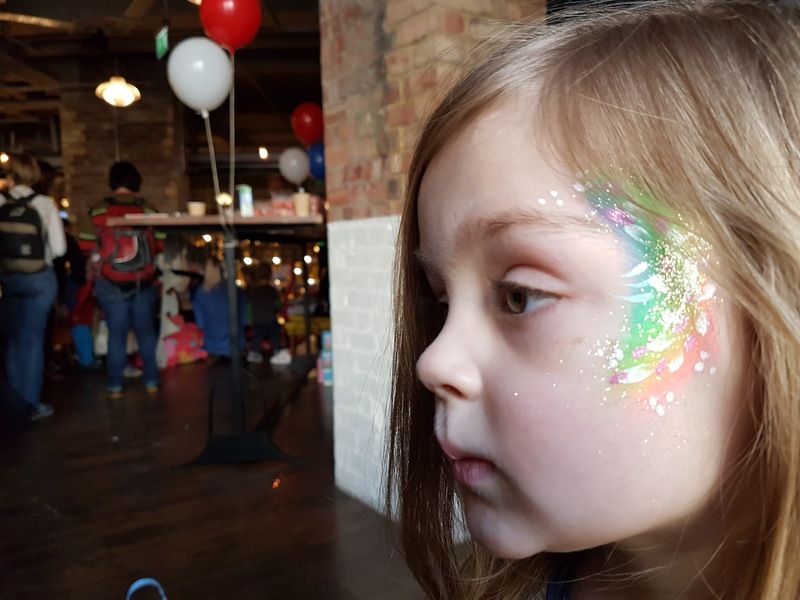 We have been to a few premieres by now (including Kate&Mim-Mim and Teletubbies) and they usually are similar, manic experiences with lots of sugary treats, kiddo entertainment, characters to hug and little goody bags to take home. This was exactly that! 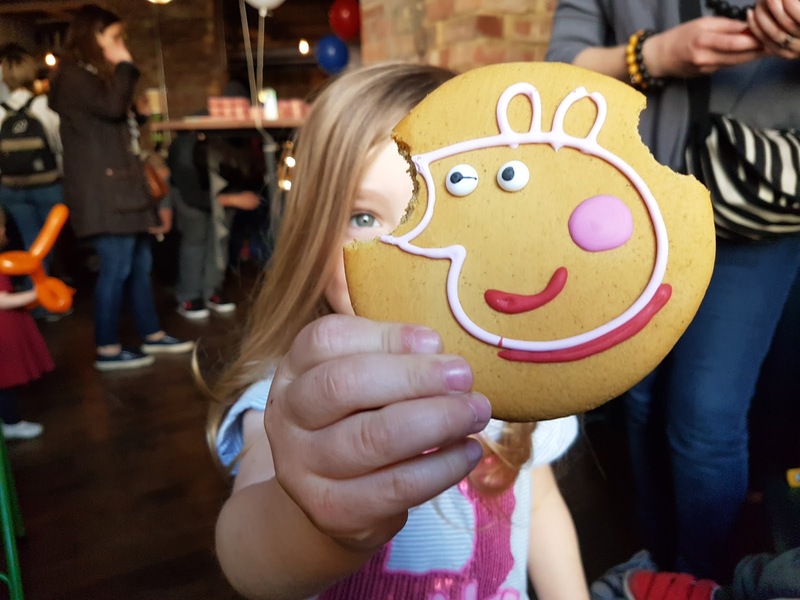 We ate pigtastic biscuits and fairy cakes, drank Peppa Pig juice cartons, got a face painting and watched balloon modellers, and gave a great big cuddle to both Peppa and George before going in to watch the film. 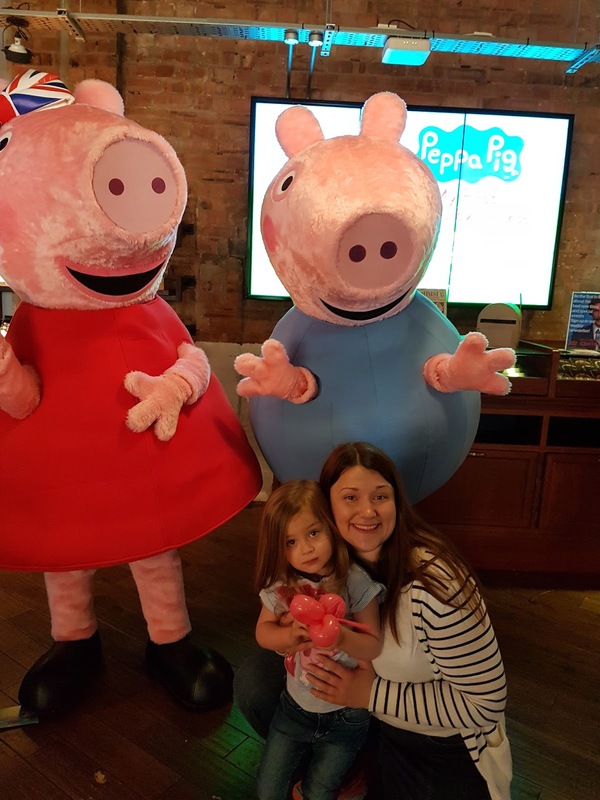 My thoughts on the Peppa Pig film are that it is fantastic for Peppa fans and especially kids under the age of five. 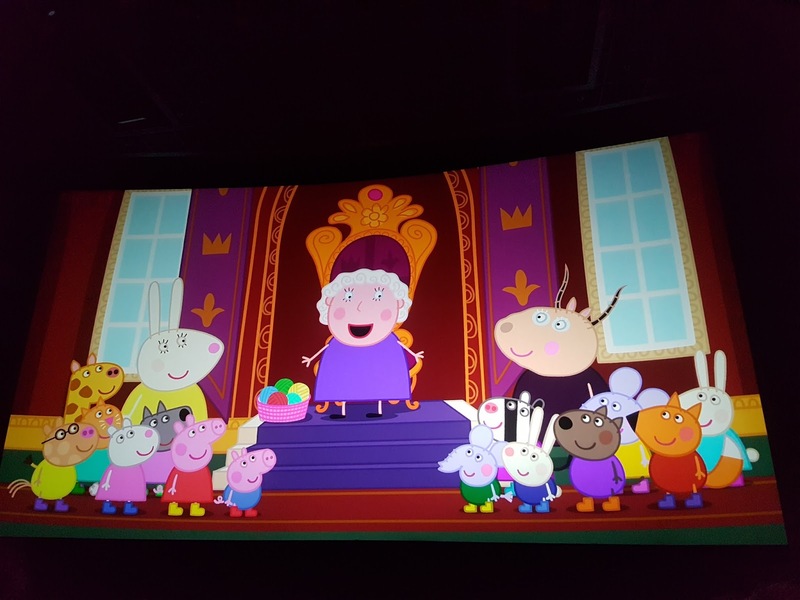 The film opened with a presenter, Daisy, Peppa's friend, speaking to the audience. It then moved on to showing episodes, which included visiting the London with the queen, visiting the zoo, travelling to Australia and so on. There were lots of episodes (nine to be exact) and the episodes were interspersed with the presenter coming on screen and talking to the audience, singing nursery rhymes and encouraging the kids to move between episodes. This worked well - the kids were able to move about and get that energy out in between episodes, and were then able to watch again. The whole film was about one hour, so not too much for even the smallest ones. As for adults, well, it was fun to interact and sing the nursery rhymes with my daughter, and as she was so enthralled with the film and suitably able to concentrate due to the frequent breaks I do admit, I did rest my eyes a bit too! The episodes were fun, and guest appearances (for example Jo Brand) kept me entertained. 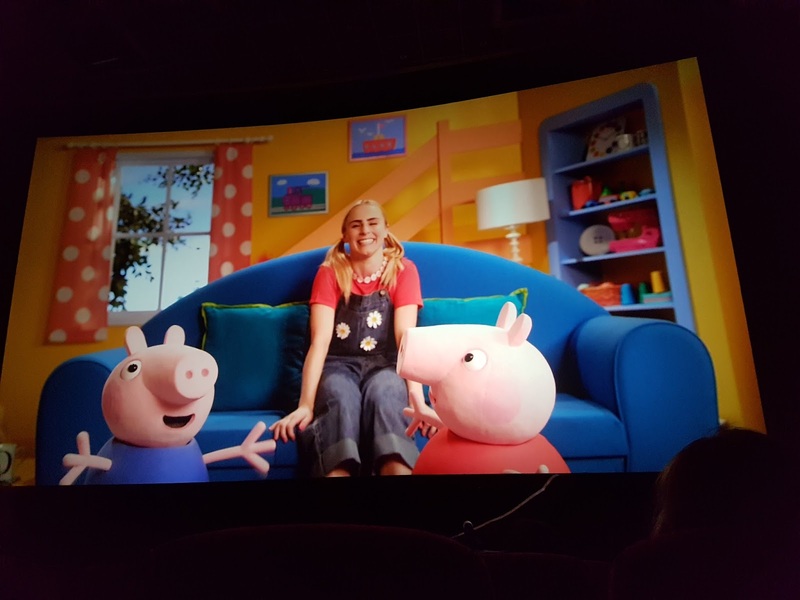 Should you go and see the Peppa Pig film then? 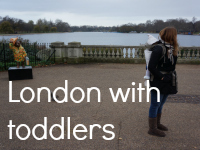 If you have a child that loves Peppa Pig, most certainly, yes. 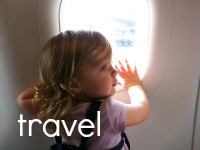 It was such a great experience for my daughter. She loved it. Before we went to see the film she kept saying to me she didn't like Peppa anymore (I think someone at school may have said it was for babies or whatever...). After the film, well, she liked Peppa again and she now a week later still talks about how much fun the film was. 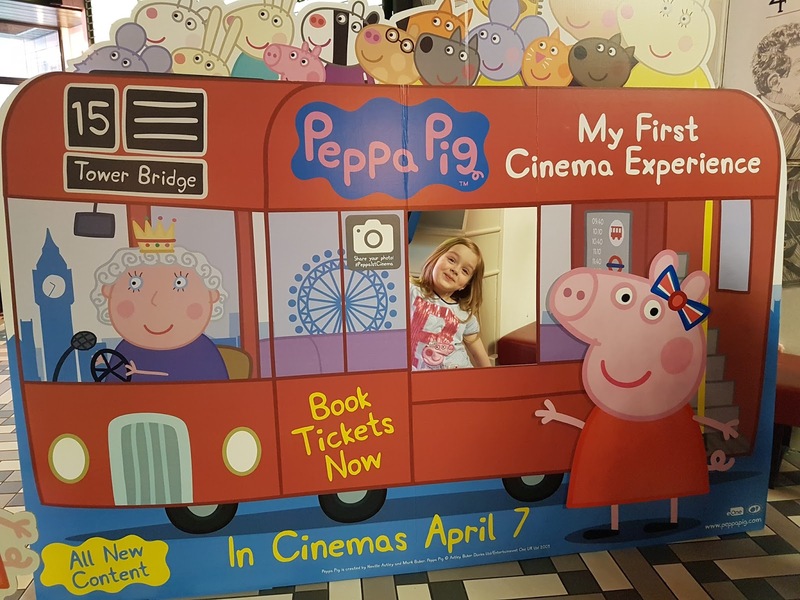 The Peppa Pig: My First Cinema Experience was also perfect as a first introduction to going to the cinema for the smallest ones - it was so easy and you didn't have worry about them making noise or moving, as that was the whole idea of it! If you want to see it, you can find tickets and locations here. I did a video too! 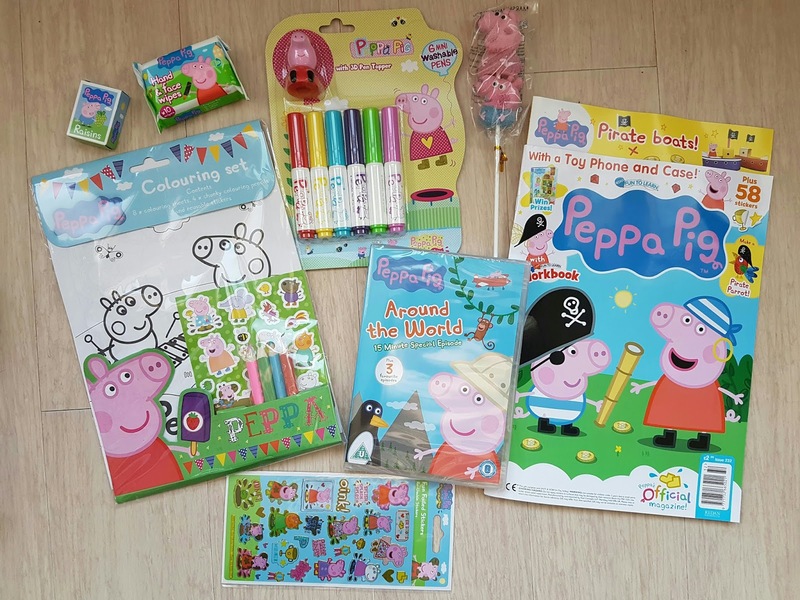 If you would like to win this fun Peppa Pig activity pack worth £12 please enter below - includes the items in the picture although colours/toppers may vary. There are daily tweet and daily entry options too! 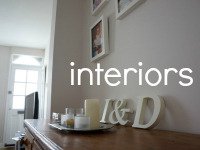 UK entrants only due to postage. 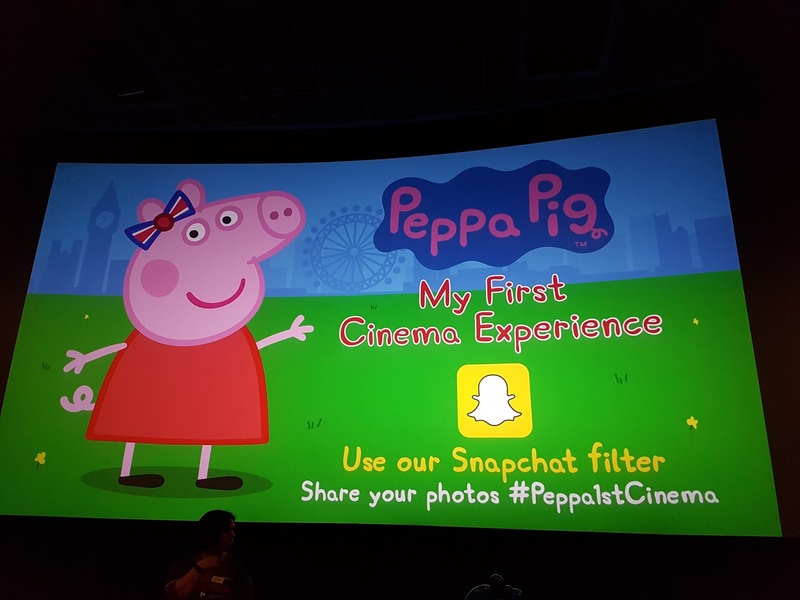 Are you going to see Peppa Pig film in the cinemas?